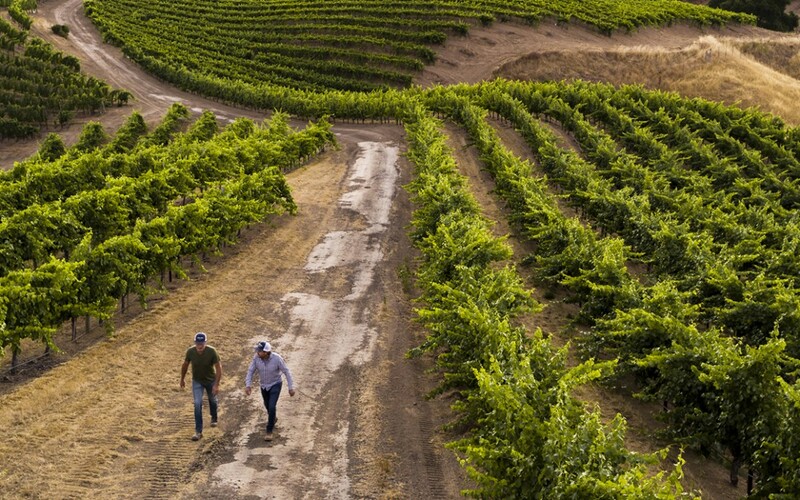 Since 1985, Ferrari-Carano has been a leading producer of world-class, nationally acclaimed wines. Vintage after vintage, the wines exhibit a remarkable consistency of style and elegance. Don and Rhonda Carano’s uncompromising commitment to quality and excellence is a reflection of their desire to produce memorable wines that enhance the pleasures of gracious entertaining. In fact, it is their background in the entertainment business that forever bonded great food and wine in their grand plan. I too love to entertain, and my plan is to combine great food and wine as often as possible. I enjoy serving Ferrari Carano wines and I relive trips to The Dry Creek winery every time I do. Don and Rhonda have some fun pairing ideas you should check out. These are delicious and affordable, and they are great with food. Siena has delicious aromas of pomegranate, cherry, plum, licorice, and mocha. Flavors of strawberry jam on the entry are enhanced by cherry cola and smoky plums that add layers of richness to this elegant wine. Siena has supple tannins that leave a balanced mouthfeel with lively elegance, depth, and a lingering finish. This Chardonnay delights with aromas of pear, white peach, orange blossom, vanilla, graham cracker, and buttercream, perfectly balanced by flavors of Fuji apple, cinnamon, apricot, quince, and hazelnut. Lingering creamy and toasted oak notes round out the finish. This wine has delicious aromas and flavors of pink grapefruit, lemongrass, lychee, peach, pear, honeydew melon, orange blossom, pineapple, guava and a touch of minerality. The Fumé Blanc has bright acidity and crisp freshness from the cool, stainless steel tank fermentation, while the subtle oak character from neutral French oak barrels adds body, complexity, and depth.